Two challenges in one box! Complete the 84 piece puzzle & find all the objects along the sides within the image. It's a puzzle + game in one! 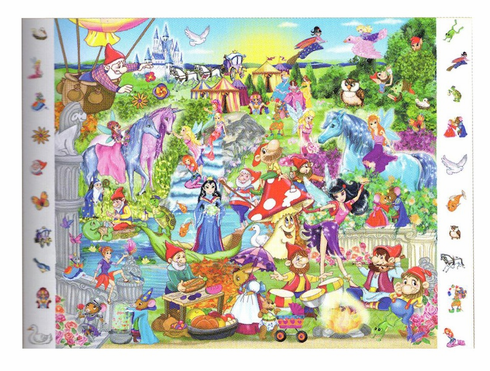 Puzzle size: 19.3" x 14.3", Ages 5+.